Teaching in a Jeep at the start of the week, good fun and didn't get stuck! Finished the last few days teaching ecologists from Edinburgh for renewables work. Golfing next week so I'll be having a few days off. Club BBQ this Sunday 1st September on the hill camping site, I am doing sausages and burgers for eats but bring your own drinks and PLEASE LET ME KNOW if you are attending. 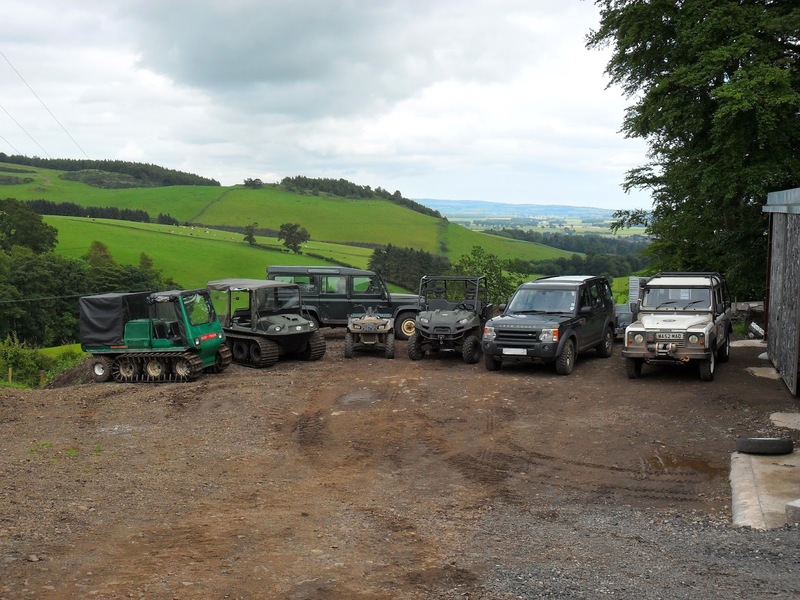 A selection of some of the vehicles we provide training to the British Off Road Driving Association standards on. BORDA is HSE approved and we can come you to do the training or do it here with our special dedicated training areas.